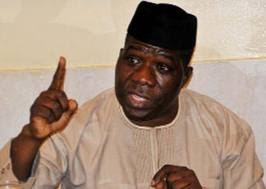 A chieftain of the All Progressives Congress (APC), Hon Opeyemi Bamidele has said the sickness of President Muhammadu Buhari would have no adverse effect on the chances of his party. Bamidele said the people of Ekiti State are humane and God-fearing individuals who believed that President Buhari as a mortal can fall sick. He said such pathetic situation won’t be basis for Ekiti to reject APC in 2018. Bamidele said the impending Ekiti governorship poll will be fought basically on issues and the personalities flying the parties’ flags, contrary to position canvassed by Governor Ayodele Fayose that Buhari’s illness would form part of the campaign issues in the election. Fayose had while addressing journalists in Abuja recently said no Ekiti voter will cast his vote for a party, whose President abdicated and relocated to London to seek medical treatment, rather than taking cognizance of the Nigerian populace and resign for Acting President Yemi Osinbajo to take charge. Speaking in Ado Ekiti after being invested as the Patron of the Pharmaceutical Society of Nigeria (PSN), Bamidele said Buhari’s absence had not in any way affected governance and that there was no basis for anybody to deploy such to campaign against APC, declaring that the party was not only participating but resolute to win the election. “When President Buhari was leaving for medical trip on May 7, 2017, he sincerely transmitted power to the Acting President, Prof. Yemi Osinbajo, a capable hands. “The Acting President has not disappointed Nigerians. He has carried out several policies to show that the presidency is still agile and functional. We even thank God that our president will return very soon to his table and begin his service to the nation. “It could have been a different ball game if he had refused to transmit power the way the PDP treated Nigerians and took them for a ride. APC didn’t come to power to steal but to sanitise the system and Nigerians are already aware of this. “To us in APC, President Buhari’s giant strides in anti-corruption war, war against Boko Haram and the series of bailouts he has given to States to pay salaries will work in our favour. “To us in APC and other reasonable Nigerians, Buhari’s presidency is a plus to our chances in Ekiti the way it happened in Edo and Ondo States”, he said. The former federal parliamentarian declared that he remained the best for the plum seat among all the contestants in terms of experience and exposure. Bamidele said the APC’s primary won’t be won on the basis of emotions but based on the antecedents and capabilities of all contestants. Bamidele was invested as Patron alongside other eminent Ekiti indigenes like Chief Afe Babalola (SAN), Chief Wole Olanipekun (SAN) and former Secretary of Health during military regime, Prince Julius Adelusi-Adeluyi. Contrary to insinuation that the large number of aspirants may cause rancour in APC and dim the party’s chances, Bamidele viewed the situation as more of a blessing than a clog depending on how the primary was managed by the National Working Committee (NWC). “Getting the party’s ticket is not the end of the battle, it is just the beginning. You may win the party’s ticket and lose flatly in the general election and that is what the APC must think about deeply. “The governorship poll is not going to be contested for in our party on the basis of emotions, but on the basis of antecedents, records and what you can offer. The beauty of it is that, all the aspirants shall have the opportunity to tell the party and Ekiti people what we have in our manifestos. “During my sojourn in Lagos, I served as Special Adviser, Political Matters, Commissioner for Sports and Youth Development and Commissioner for Information. During those years, I worked with 27 Permanent Secretaries and 76 Directors among countless of staff. “Human materials’ management have been part of my life. I have also practiced Law for 25 years. So, we are contesting this election based on loaded experience on our side. “I have the experience about the workings of the executive and legislative arms as a former commissioner and member of the House of Representatives, I know what the rules are. I know the rudiments of checks and balances in relation to intergovernmental relations, so I remain the best for this race”, he said.